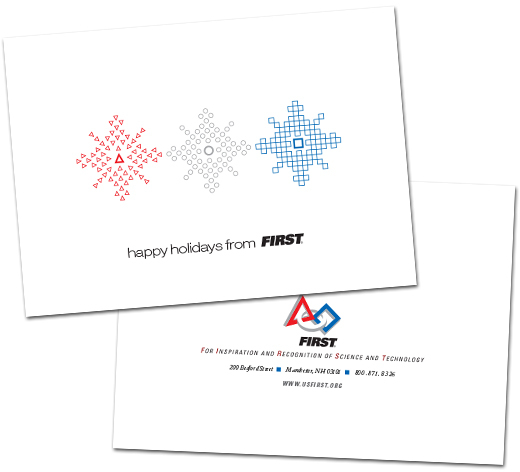 This is a design for the 2013 Holiday Card for FIRST utilizing pieces of their logo. The triangle, circle and square are all used to create snowflakes. This design was also used to create an emailable version.